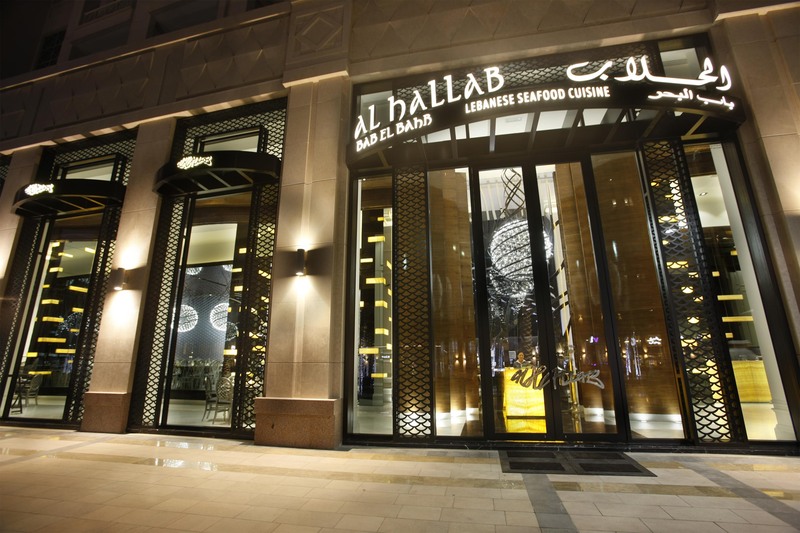 Fancy, beautiful & delectable are just the words that come to my mind when I speak about Al Hallab Bab El Bahr located at Downtown, Dubai. 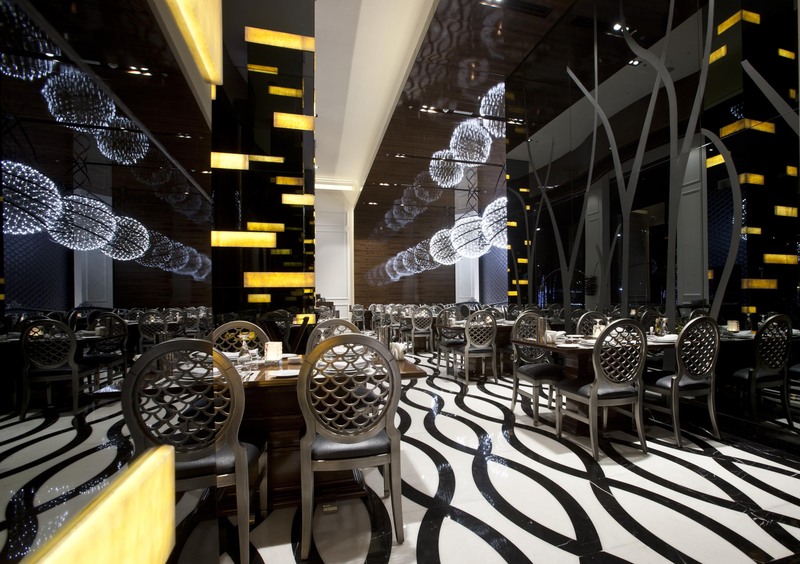 A 5 star restaurant which will unquestionably make you feel grand. We were warmly welcomed by the receptionist and she escorted us to our table located alongside the wall that replicates the scales of a fish. 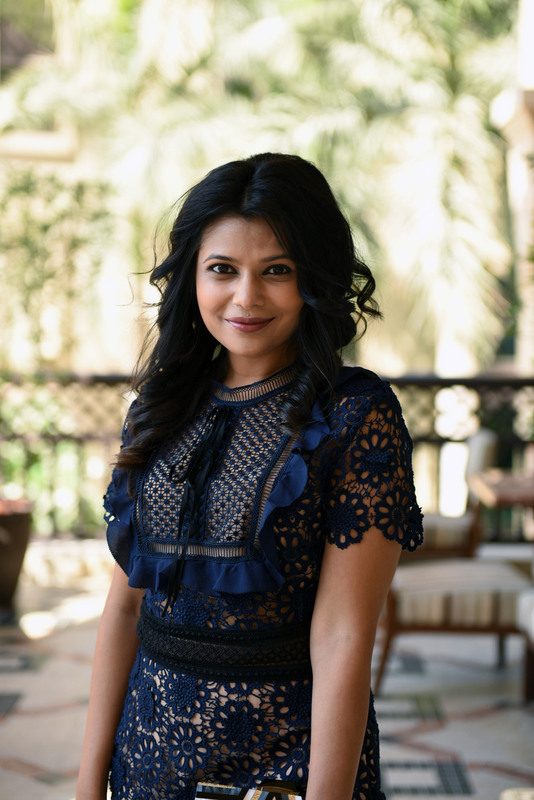 The interiors of the restaurant are attention grabbing making one in awe of the place; with the magnificent ceilings, chandeliers and catchy charcoal color walls. The restaurant ambience goes well with the offerings at hand. 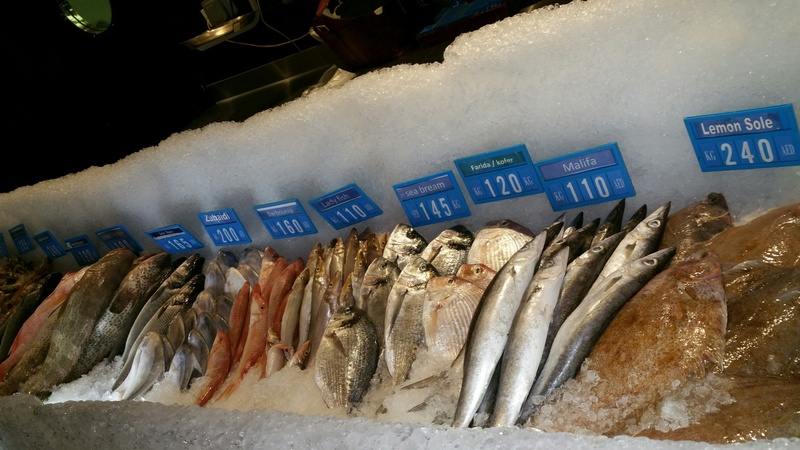 It has a market style-live fish counter wherein one can select the fish one wishes to eat. After a brief conversation with the Chef he mentioned that most of the seafood is fresh catch and is changed daily (except for Sea Bass which is from France). I started my meal with Lentil soup while my partner (name) opted for a cocktail shrimp which he really relished. We ordered for Hommos, Batata Harra, Moutabal, Batata Bil Habak , Fatoush and Warak Enab (made of vine leaves). Being a vegetarian these were the best choices for me and I highly recommend them for all non-carnivore eaters. My partner enjoyed the Shish Tawouk and Samkeh Harra(fish with tahina sauce). While you have the food, don’t forget to order for Sheesha which is really good. I was so full and couldn’t try the dessert but positively heading there soon to try the Kounafah Cheese. 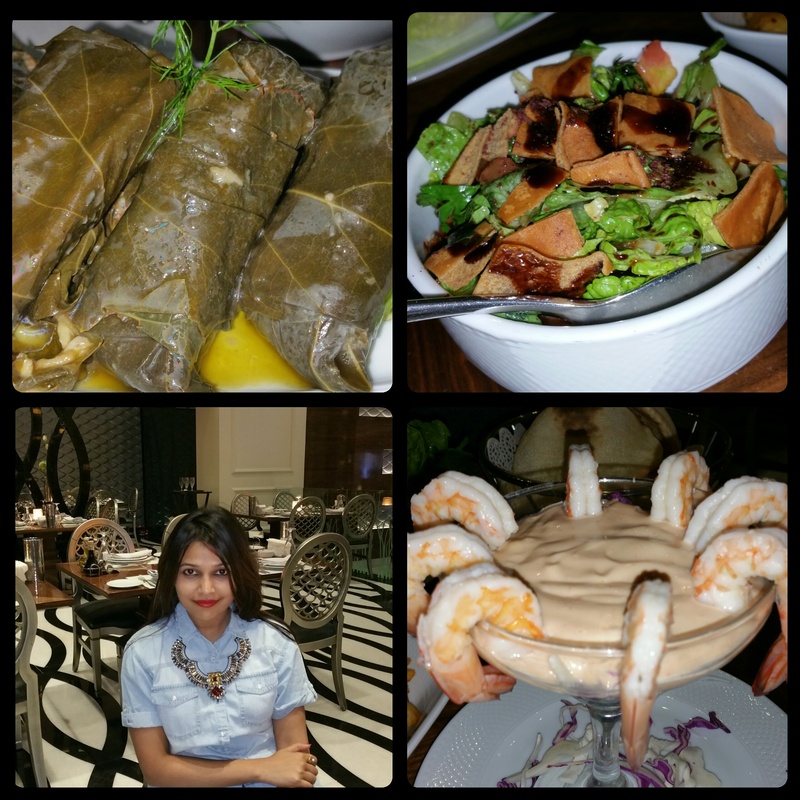 I would highly recommend this restaurant for the Lebanese cuisine, Sheesha and Seafood lovers.